Matterport 3D and VR experiences are the next best thing to visiting your community in person. 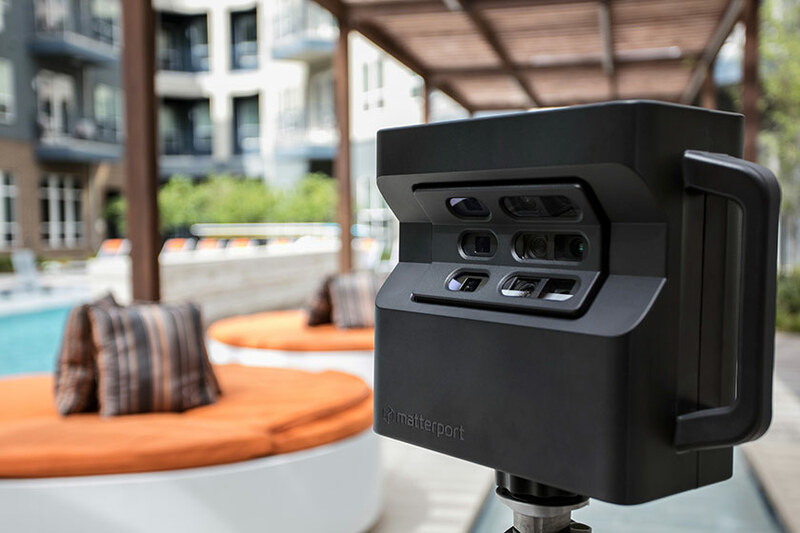 State-of-the-art Matterport imaging technology captures multiple images at multiple angles to create 3D models and tours of your units and amenities, rendering every perfect detail in an online experience designed to sell your community to future residents. 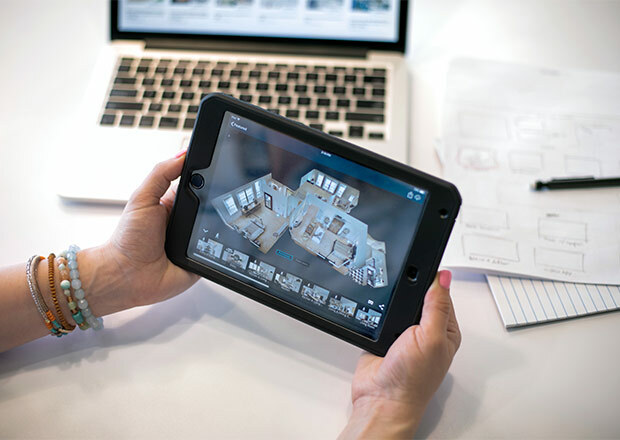 Visitors can take a virtual tour in dollhouse mode or walk through floorplans online, exploring your community from any desktop, mobile, or virtual reality device. Virtual reality is no longer the stuff of science fiction. 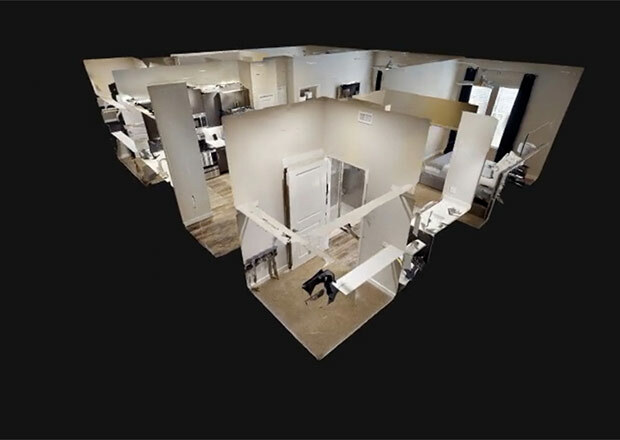 Renters today can take a 3D virtual apartment tour from the comfort of their own homes. A Dollhouse view lets prospects see an entire unit or amenity, inside and out, at a glance. 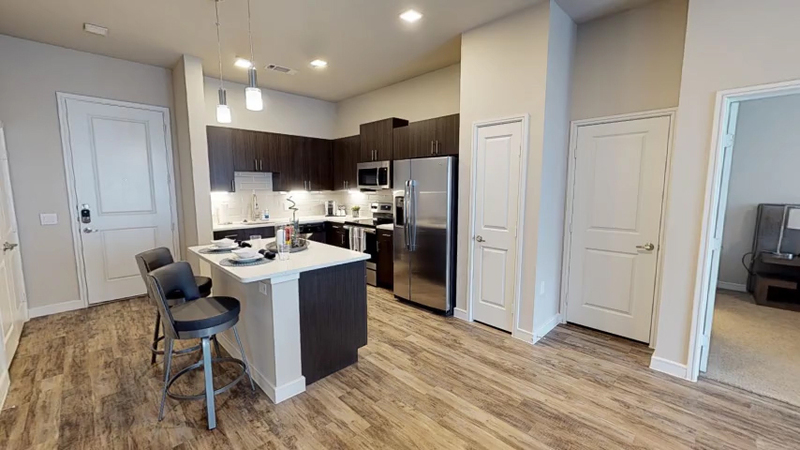 With 3D floorplans, they can experience your community via a precise and immersive virtual tour. The PropertyPhotos team will add Matterport tags to 3D virtual apartment tours. This metadata allows you to add text descriptions to tours and highlight amenities while giving your site an SEO boost. You will receive a shareable tour link that automatically plays a walkthrough of your space, as well as an embed code for use on any website or e-brochure. Our advanced Matterport cameras collect visual and spatial data for an entire room in a matter of seconds, producing a 3D virtual tour. We can scan all applicable spaces around your community in just a few hours. 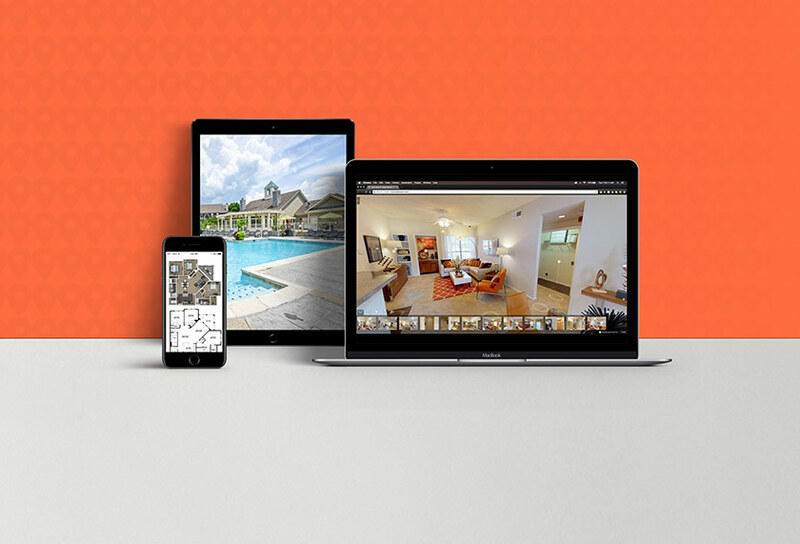 Matterport’s powerful virtual tour software automatically combines the scans from each room into one seamless 3D model and virtual tour of your property. 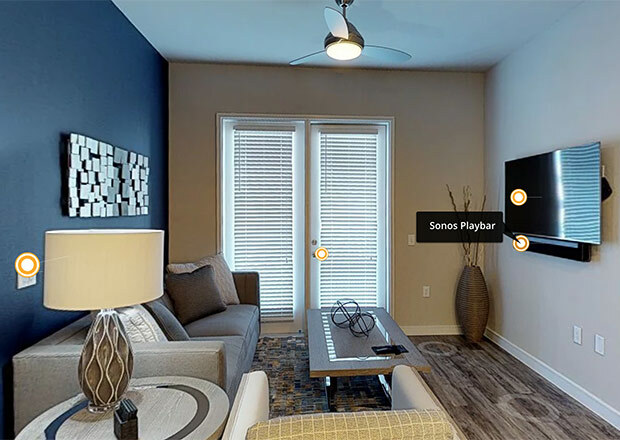 We create a custom highlight reel that guides the viewer through a virtual tour with Mattertags, which feature anything from recent upgrades to smart home devices. As with all PropertyPhotos content, your 3D virtual tour is ready to embed on your property website and share with prospects. Users can navigate Matterport tours on desktop, mobile, and virtual reality devices. Matterport with community photography delivers 3 Matterport furnished-unit spaces, 25 high-resolution images, and five 360-degree panoramas that we’ll link to your Google Street View for enhanced SEO. Open-license imagery allows you to use content anytime and anywhere. 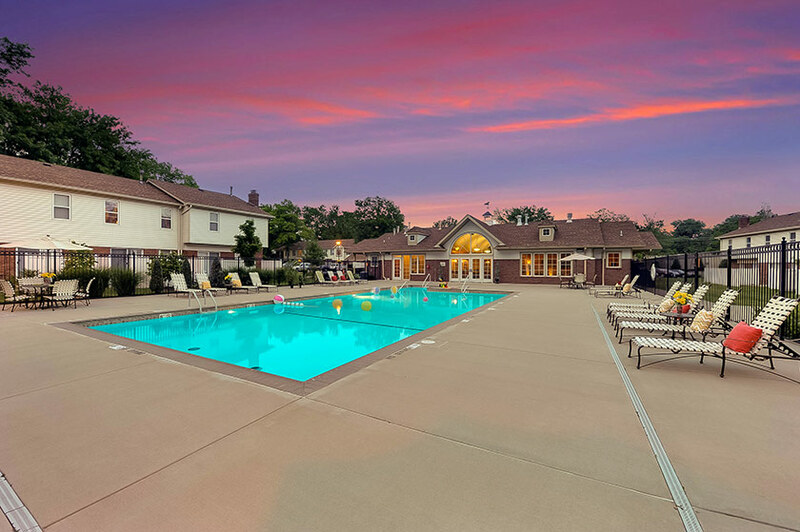 Capture your community in its best light with this Matterport and twilight photography package. This package includes 25 high-resolution images taken at both day and twilight, five 360-degree panoramas, and three Matterport furnished-unit spaces. Use the imagery how you wish with our open-license. 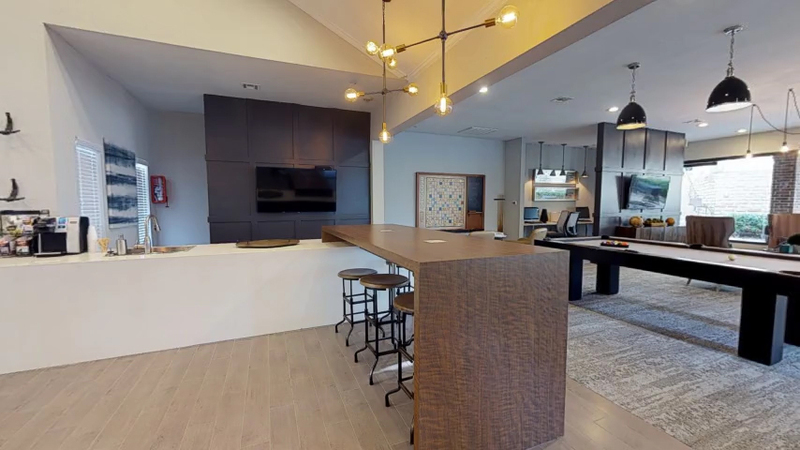 The content package delivers three Matterport furnished-unit spaces, 25 high-resolution images, five floorplans, five virtual tours, and five 360-degree panoramas that we’ll link to your Google Street View page for enhanced SEO. 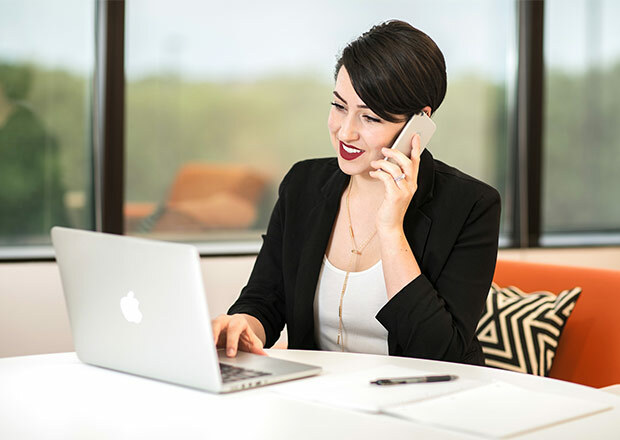 With an open-license, you can use the content anytime and anywhere.